But the same can’t be said when the Duke of Preston happens along Tabitha’s path. 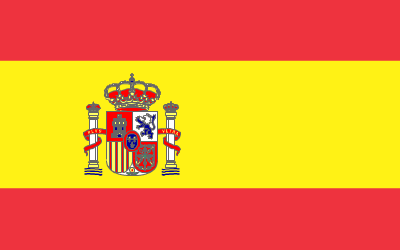 He spies a rebellious streak in her that matches his own, and he makes it his mission to save her from such a passionless match, interfering in her life at every turn. 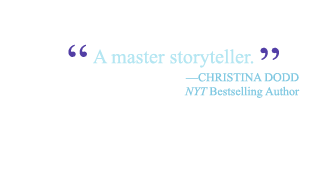 All too soon, Preston—whose very name spells ruin—has Tabitha caught between the good fortune that guarantees her security, and his kiss, which promises an entirely different kind of happily ever after. 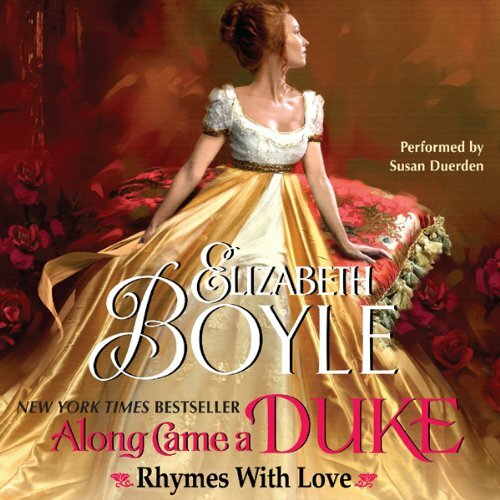 Along Came a Duke is Elizabeth’s first book available in an audio format. 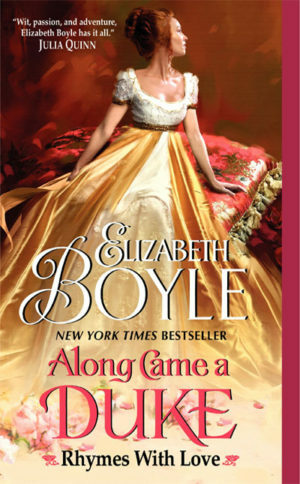 A large print edition of Along Came a Duke is available from Thorndike Press and is available at Amazon. 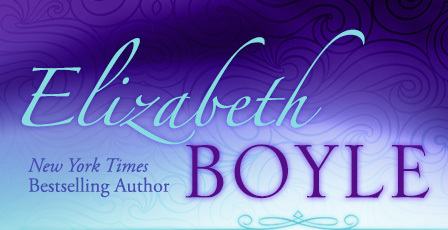 “Witty and wonderfully romantic, the first in Boyle’s Rhymes With Love series is a delicious confection that tempts readers to turn the pages, laugh until they cry and sigh at the end.” Romantic Times, 4 1/2 Stars, Top Pick! Lady Essex was guaranteed to be put out by her protege’s untidy appearance. Her ladyship had high hopes of taking Harriet to London and finding her a grand match, though hardly anyone in Kempton put much stock in such notions. Click on this image to enter win a Lunch Break prize package.